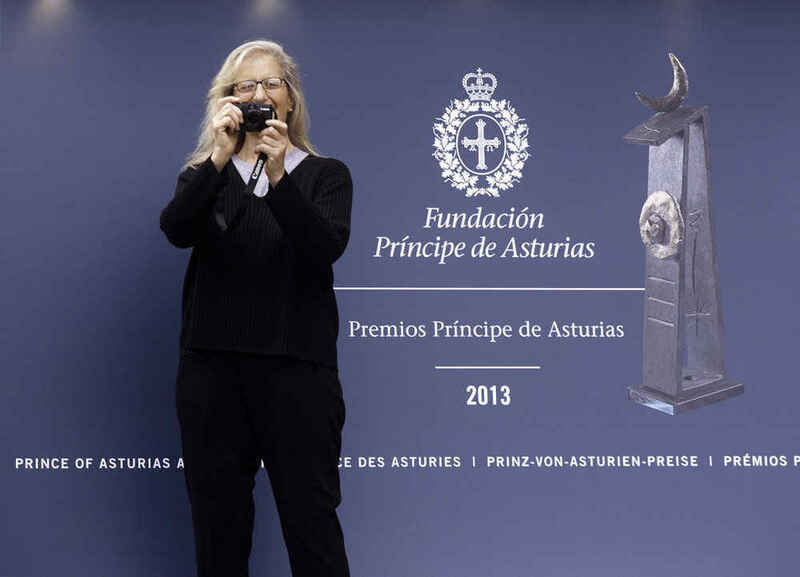 Photos of the Audience held by TRH with the Laureates His Royal Highness, The Prince of Asturias, presenting the insignia to Saskia Sassen, 2013 Prince of Asturias Award for Social Sciences. 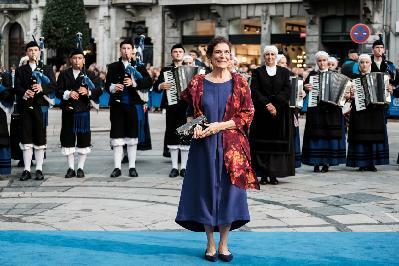 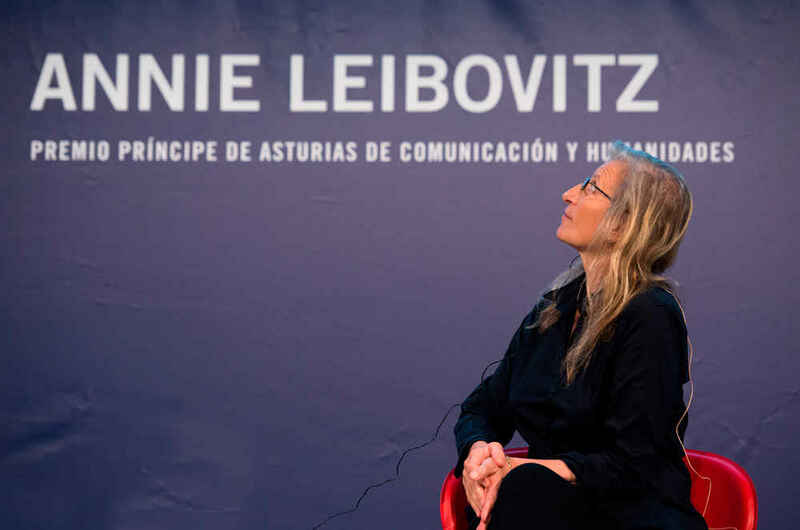 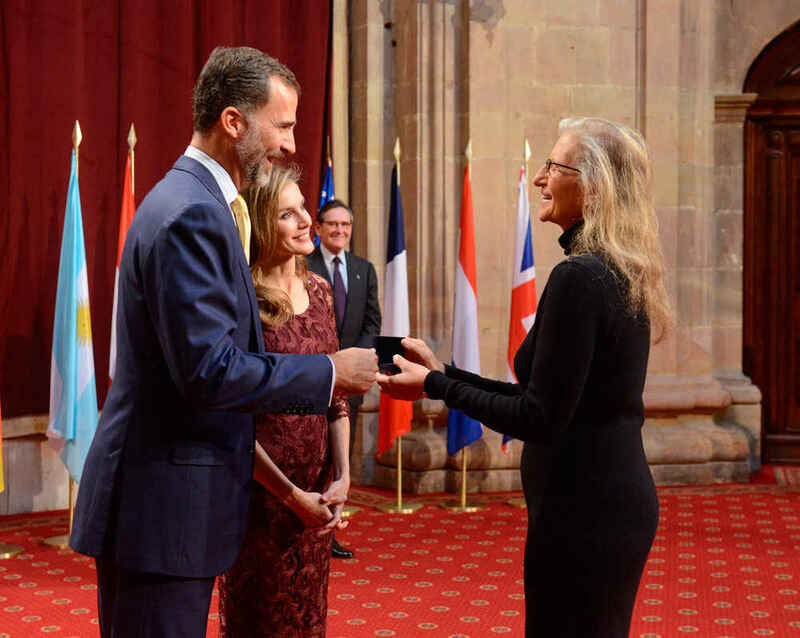 Photos of the Audience held by TRH with the Laureates His Royal Highness, The Prince of Asturias, presenting the insignia to Annie Leibovitz, 2013 Prince of Asturias Award for Communication and Humanities. 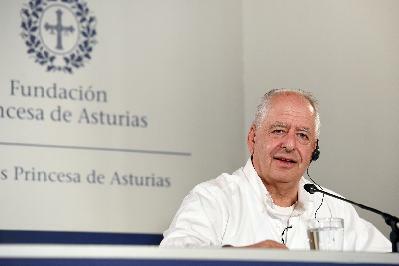 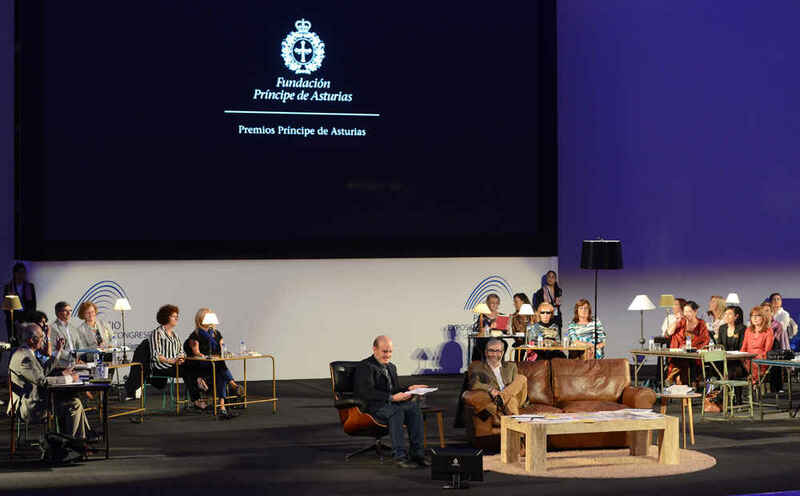 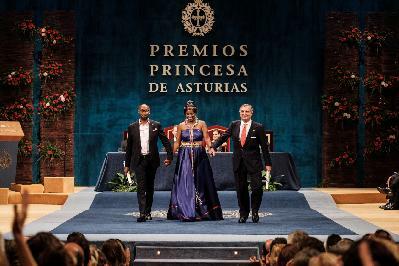 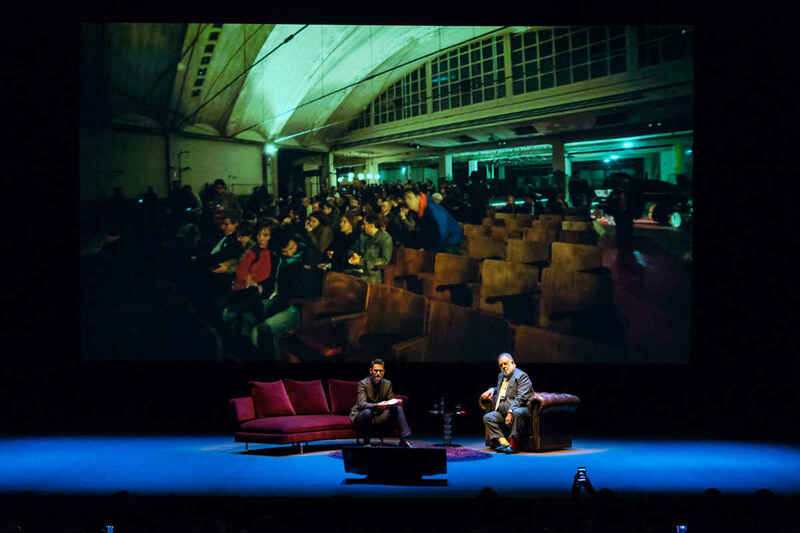 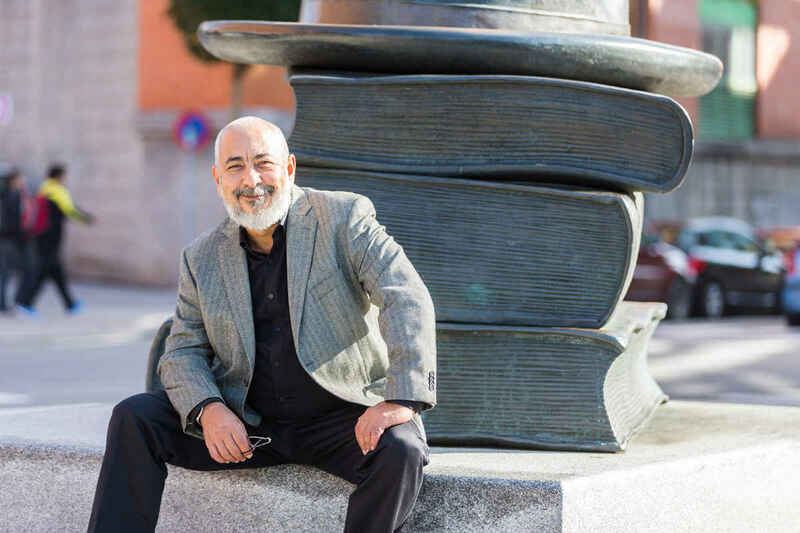 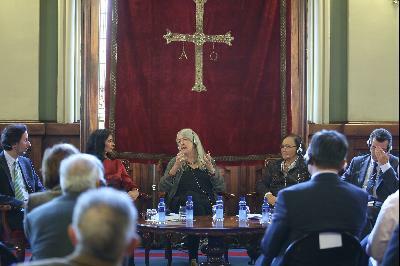 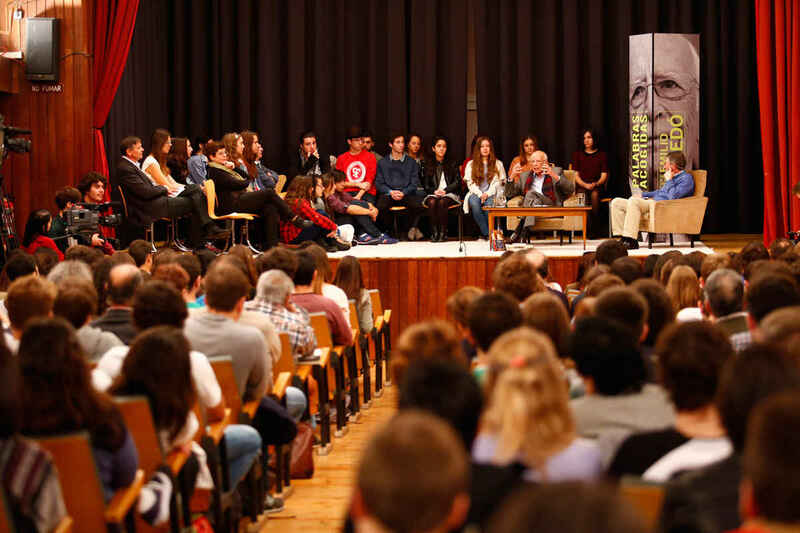 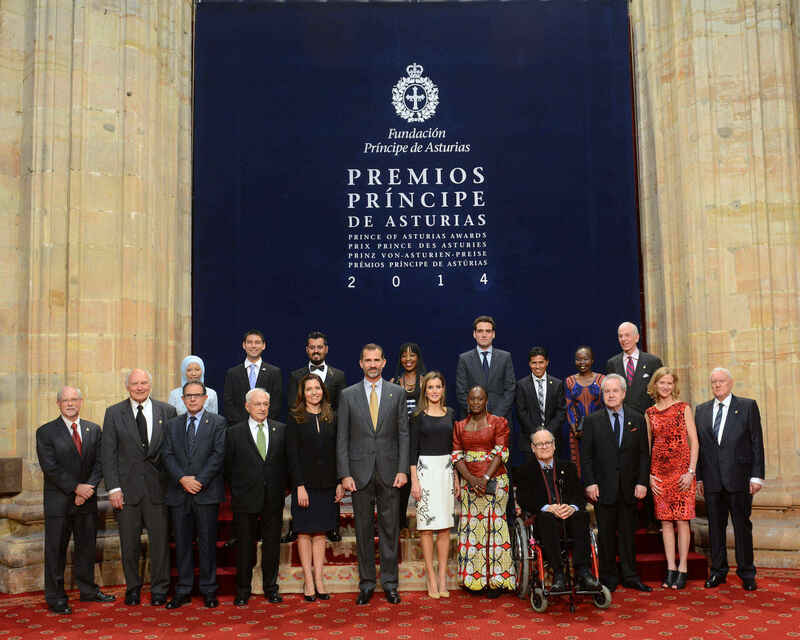 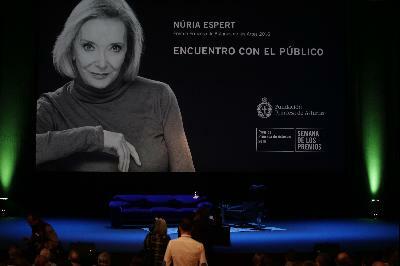 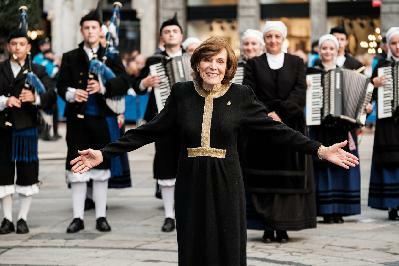 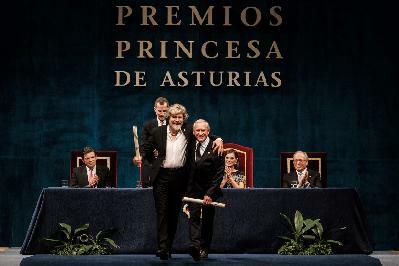 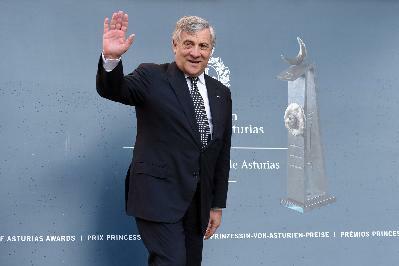 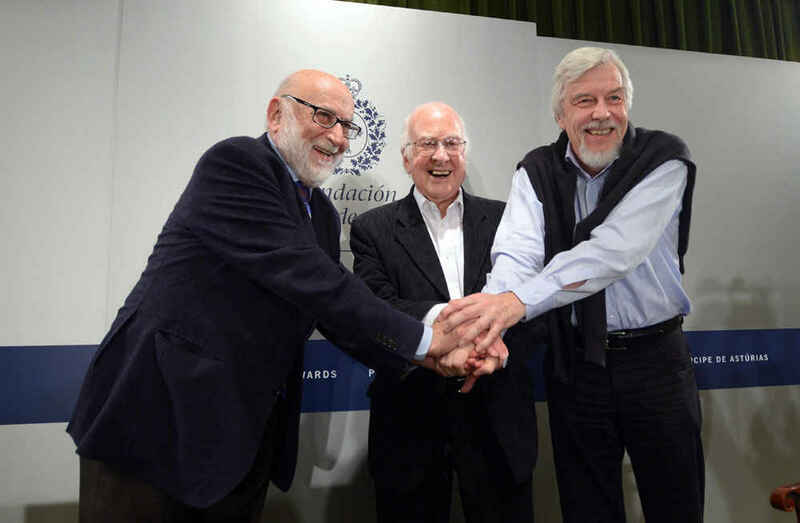 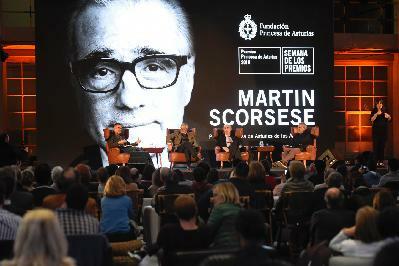 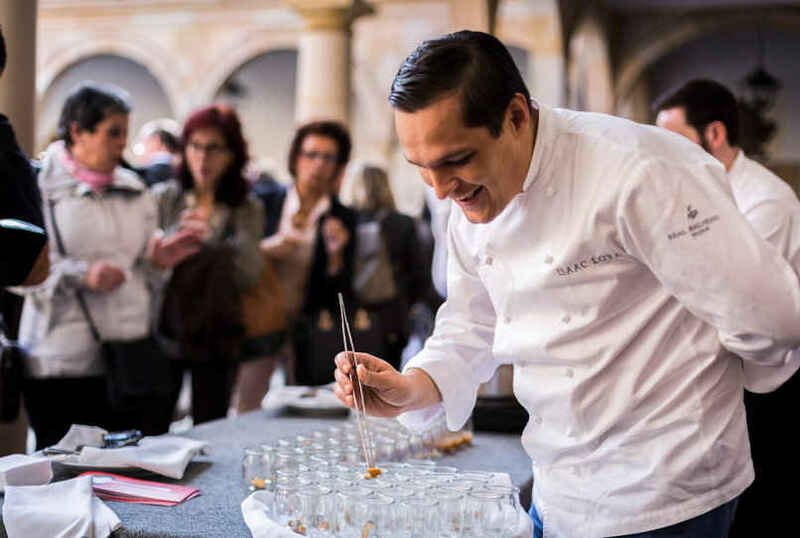 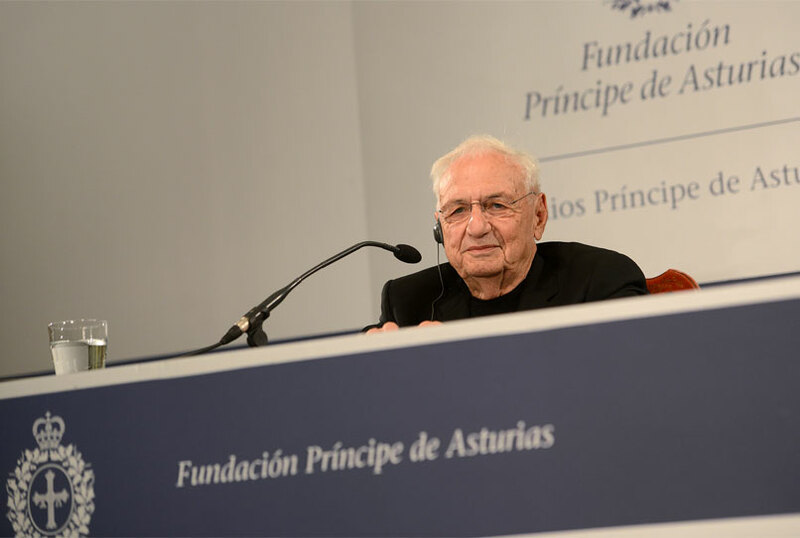 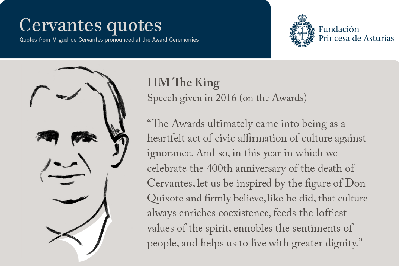 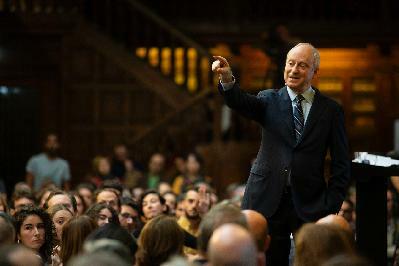 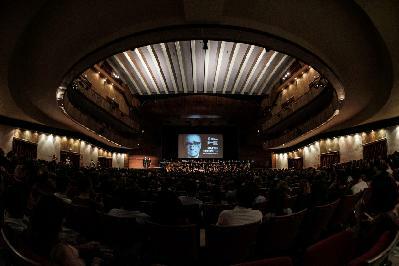 Photos of the Audience held by TRH with the Laureates His Royal Highness, The Prince of Asturias, presenting the insignia to Antonio Muñoz Molina, 2013 Prince of Asturias Award for Literature. 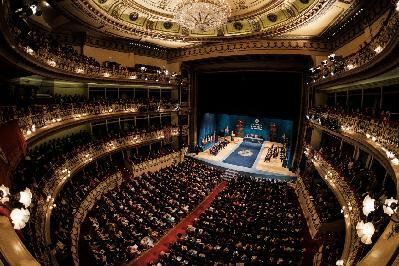 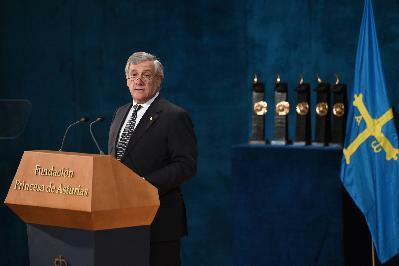 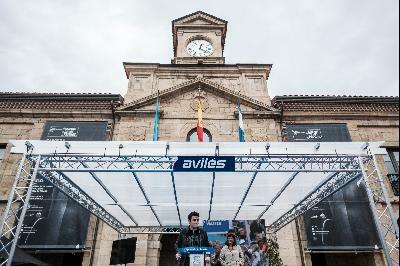 Photos of the Audience held by TRH with the Laureates His Royal Highness, The Prince of Asturias, presenting the insignia to José María Olazábal, 2013 Prince of Asturias Award for Sports. 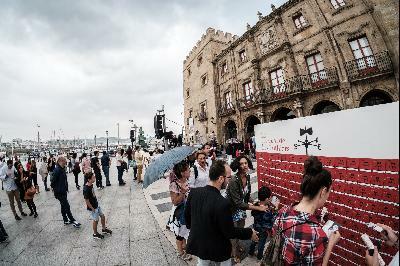 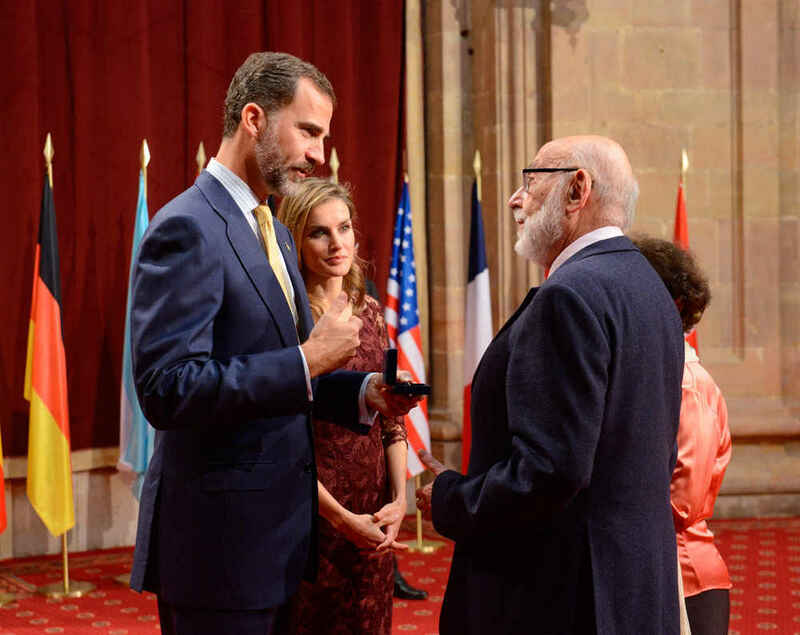 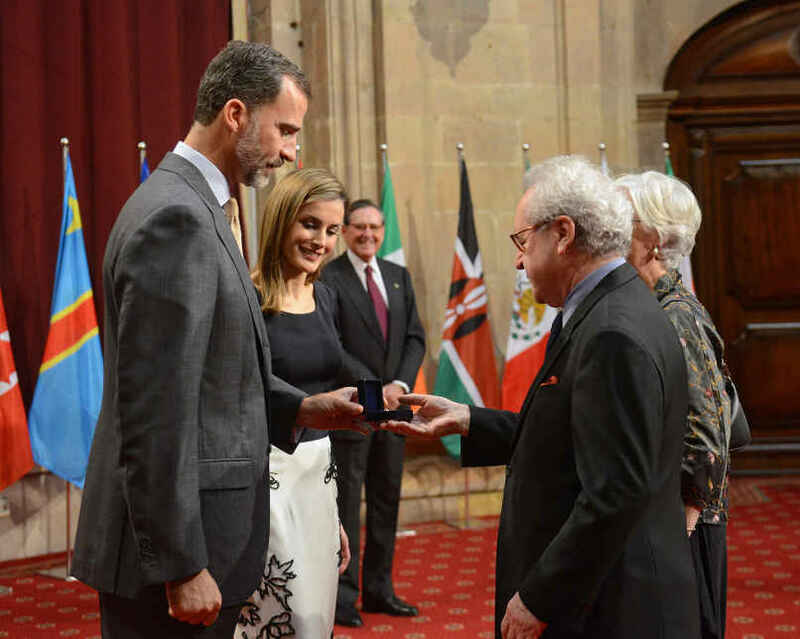 Photos of the Audience held by TRH with the Laureates His Royal Highness, The Prince of Asturias, presenting the insignia to Miguel Carballeda, President of the ONCE, 2013 Prince of Asturias Award for Concord. 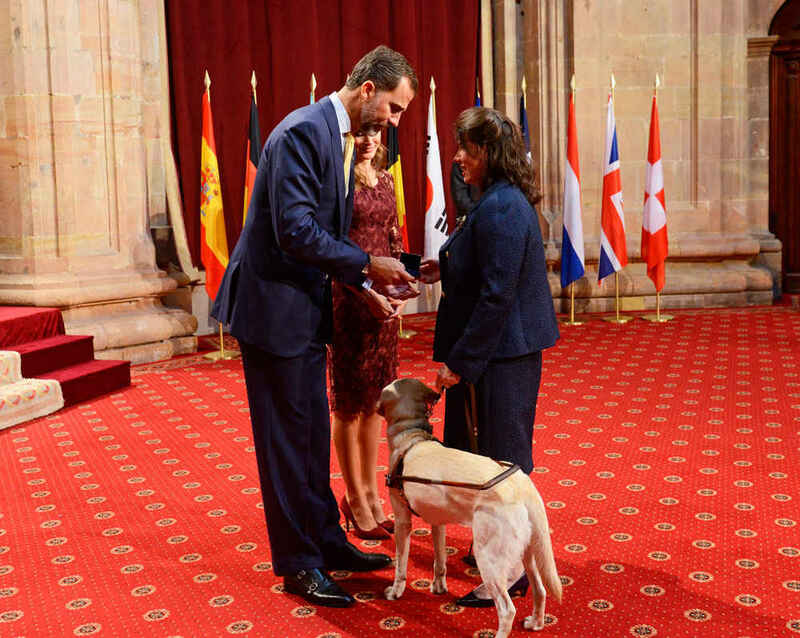 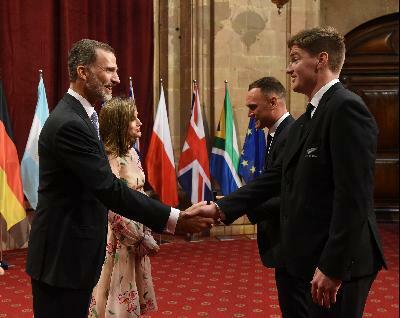 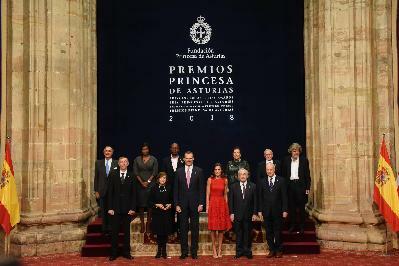 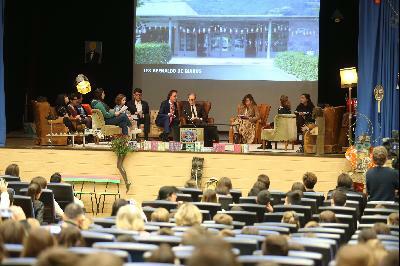 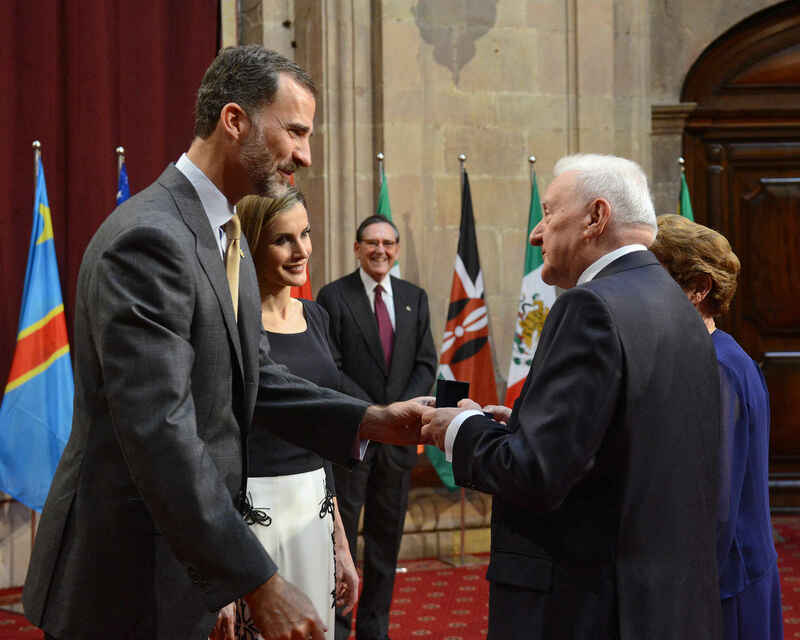 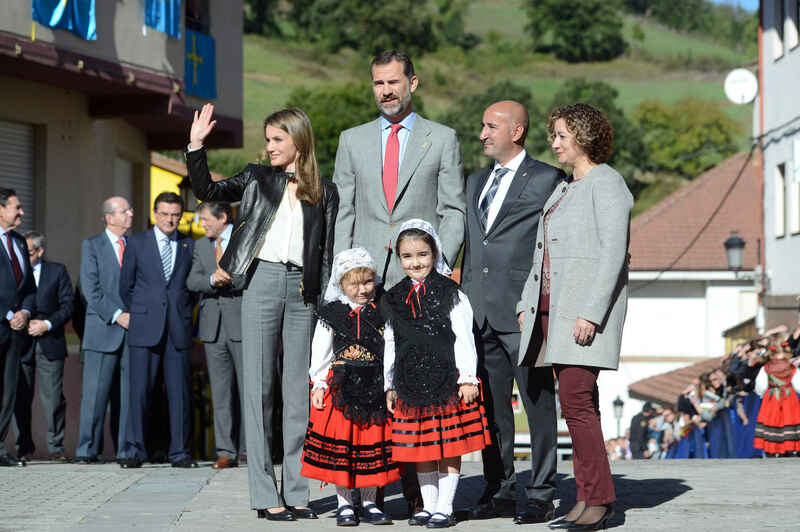 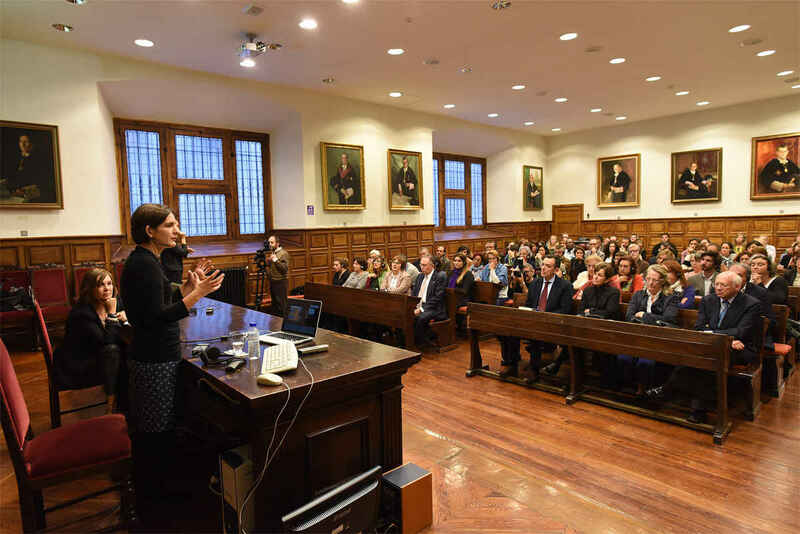 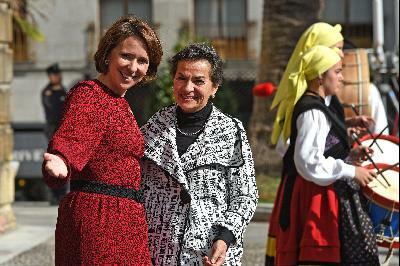 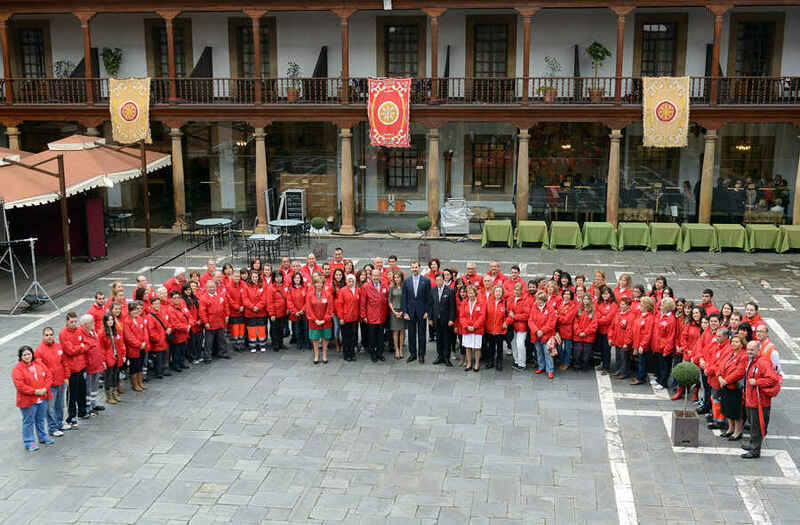 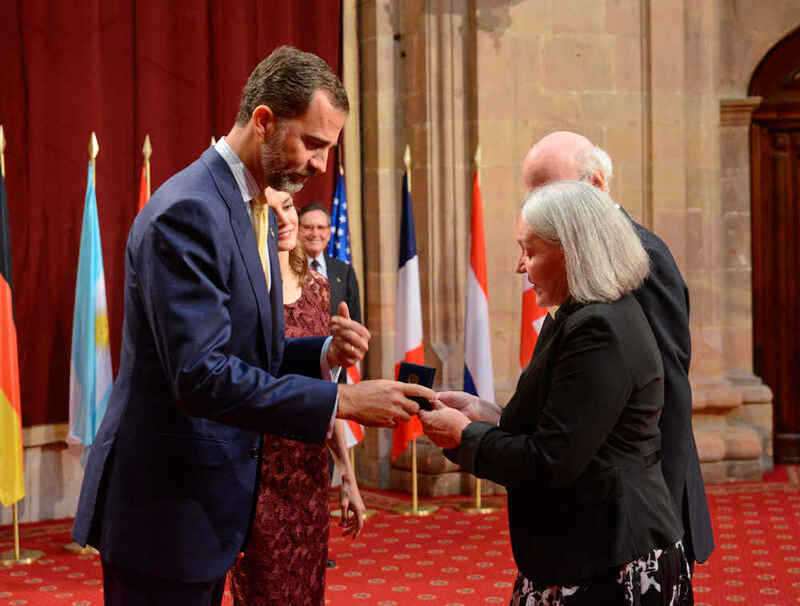 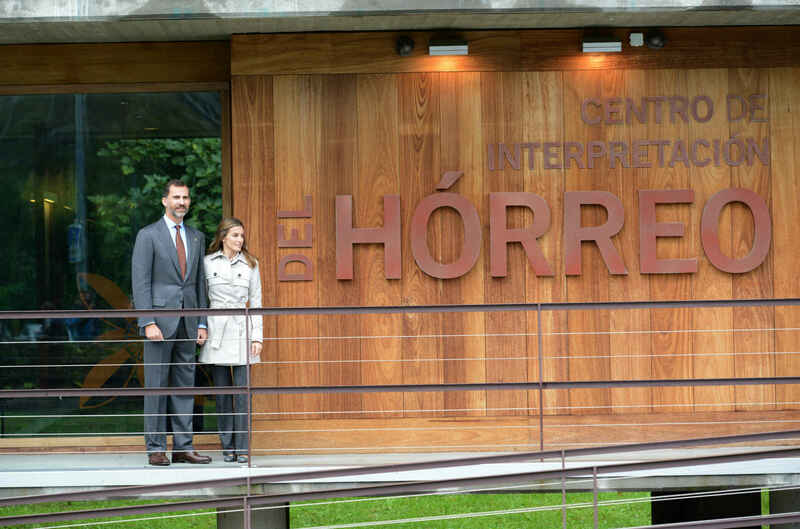 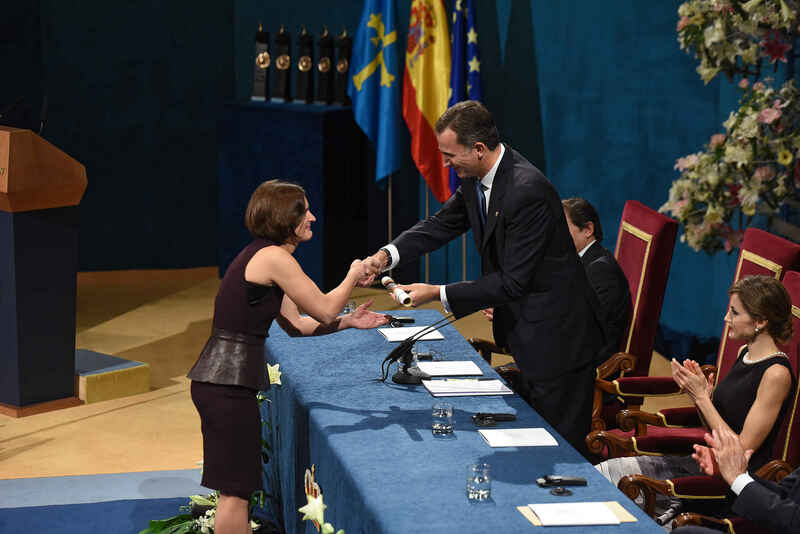 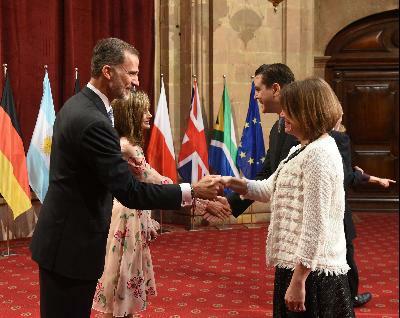 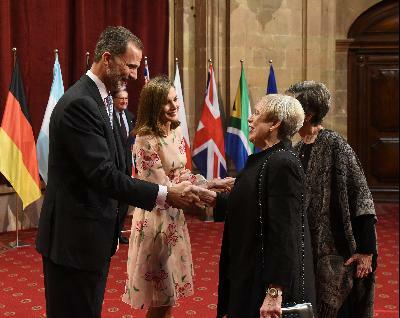 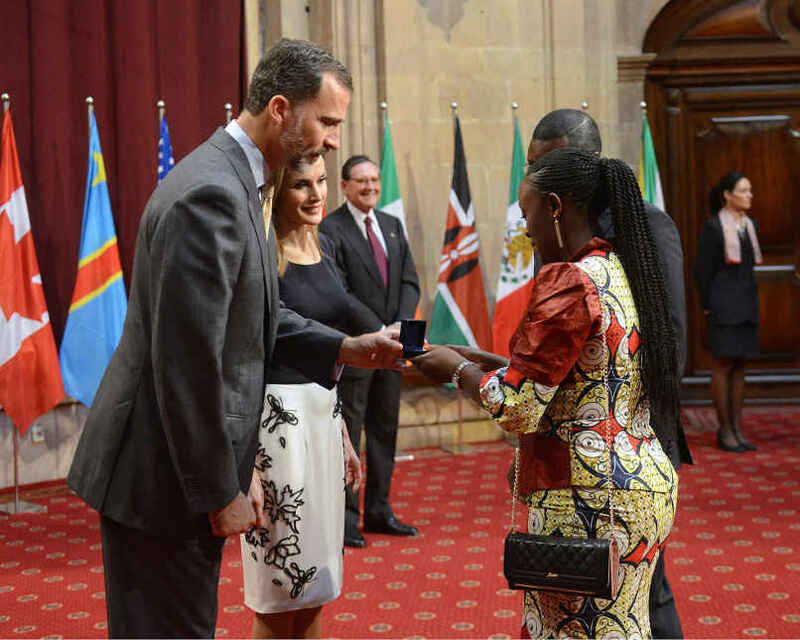 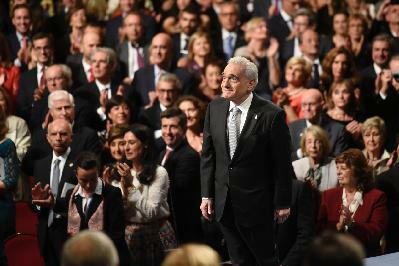 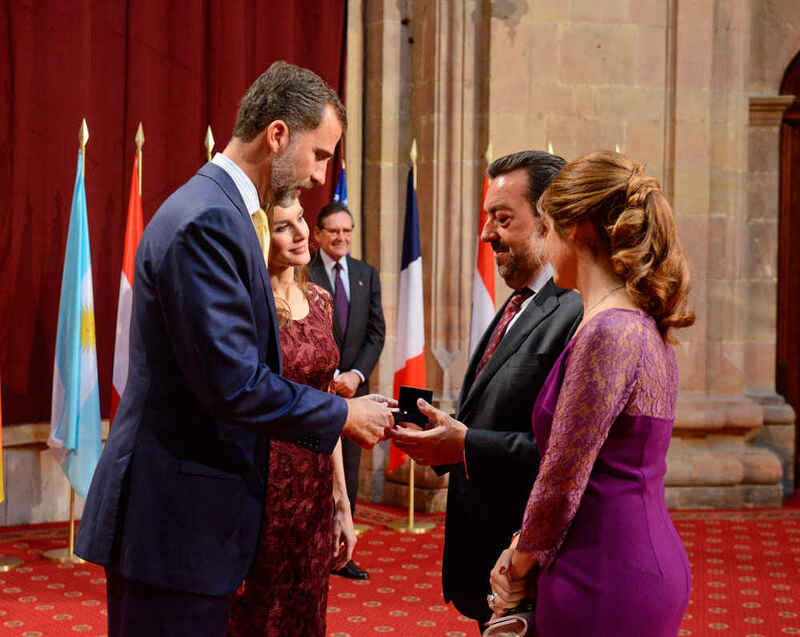 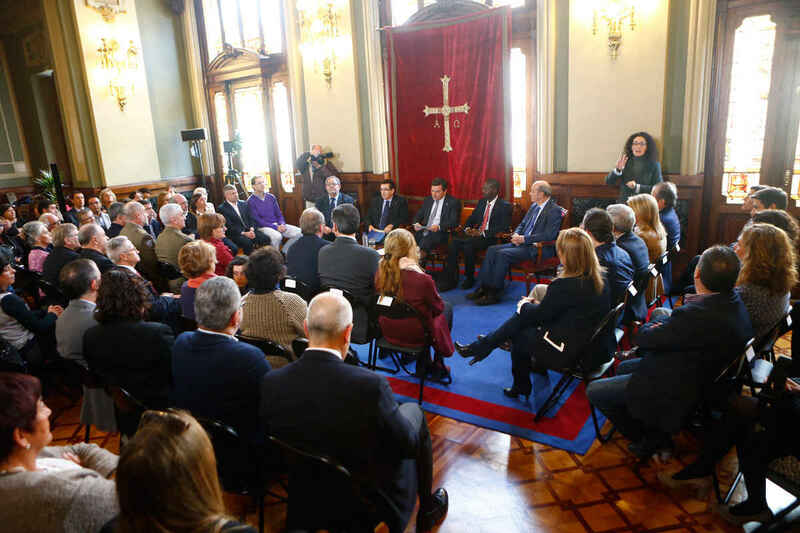 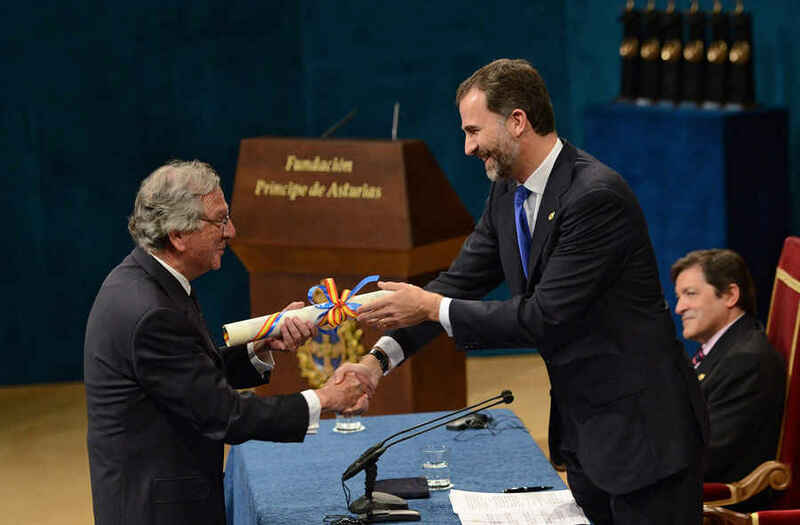 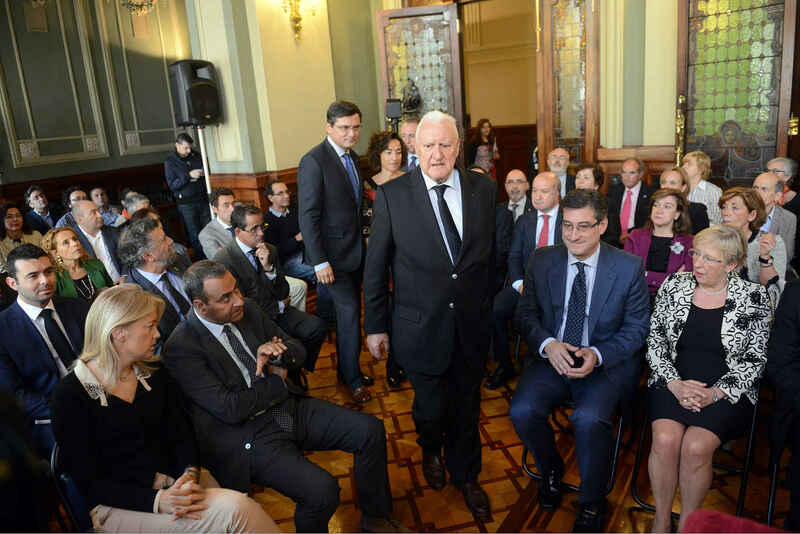 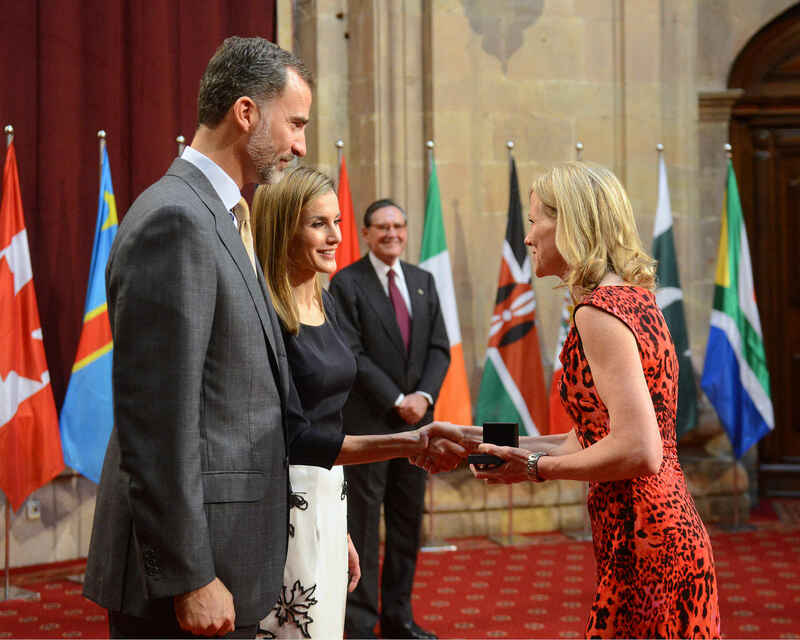 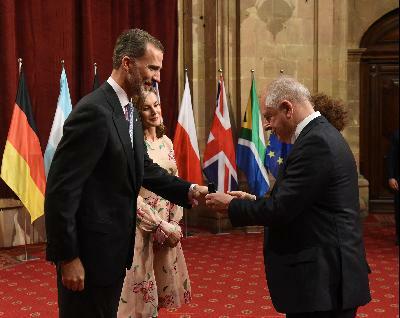 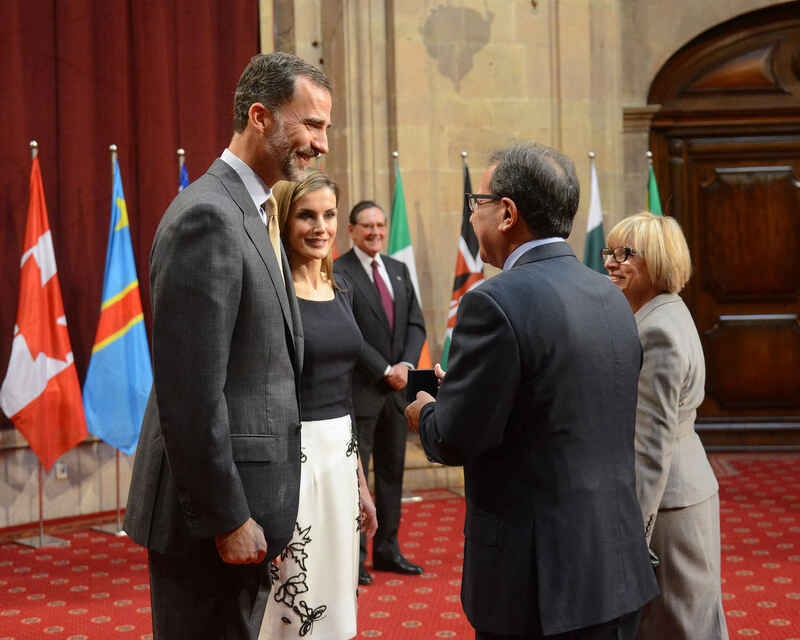 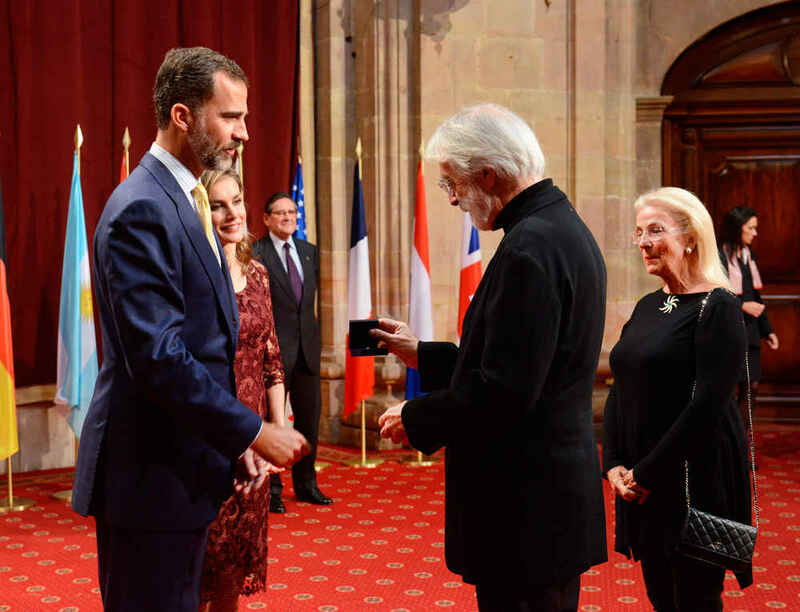 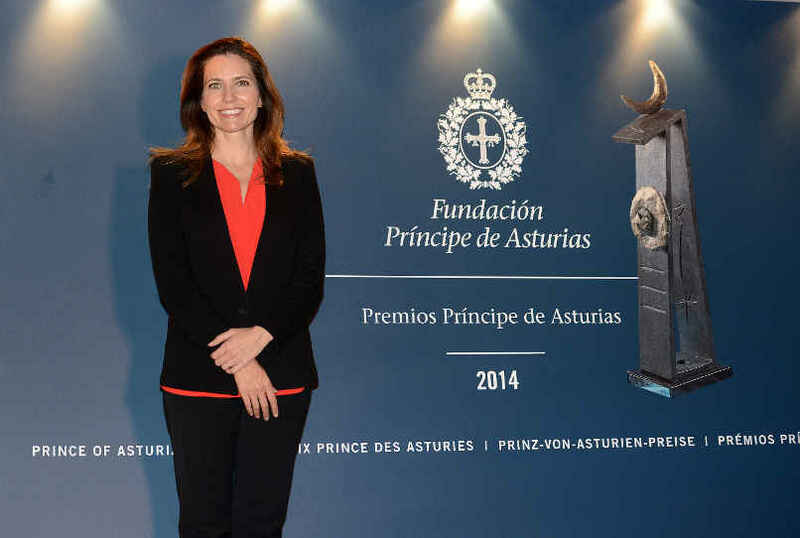 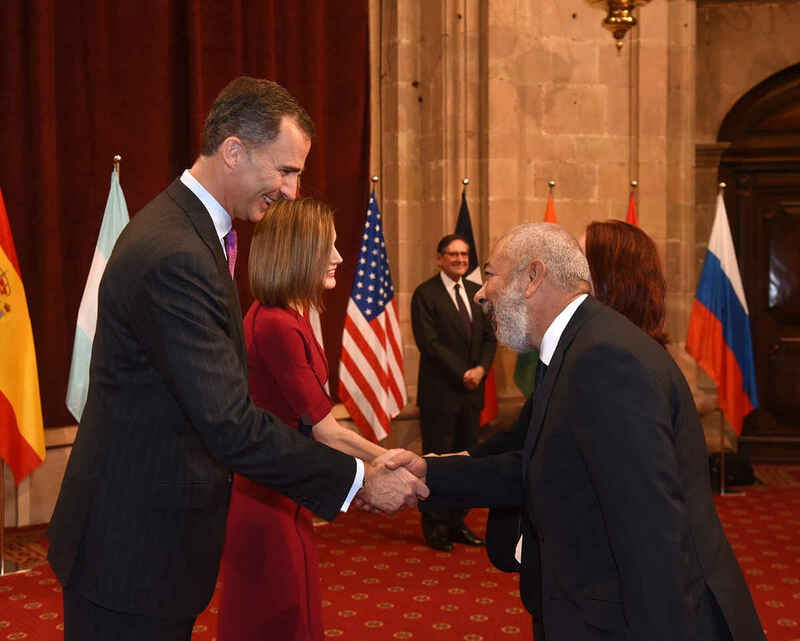 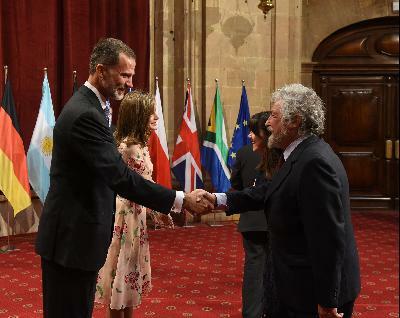 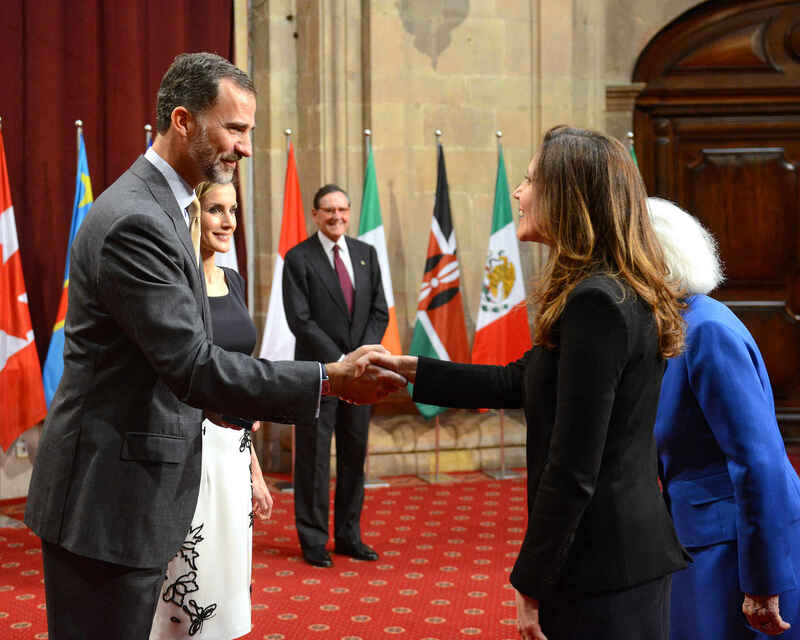 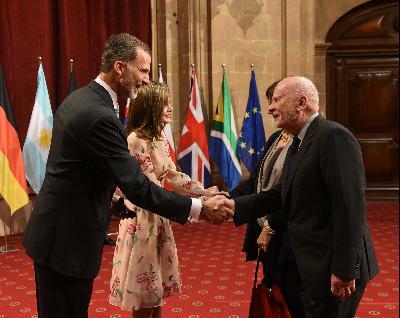 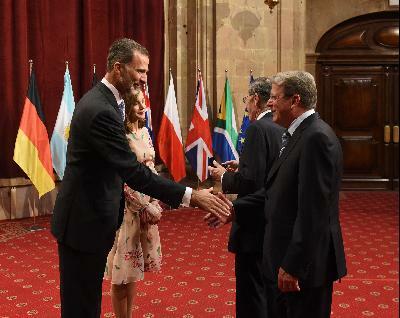 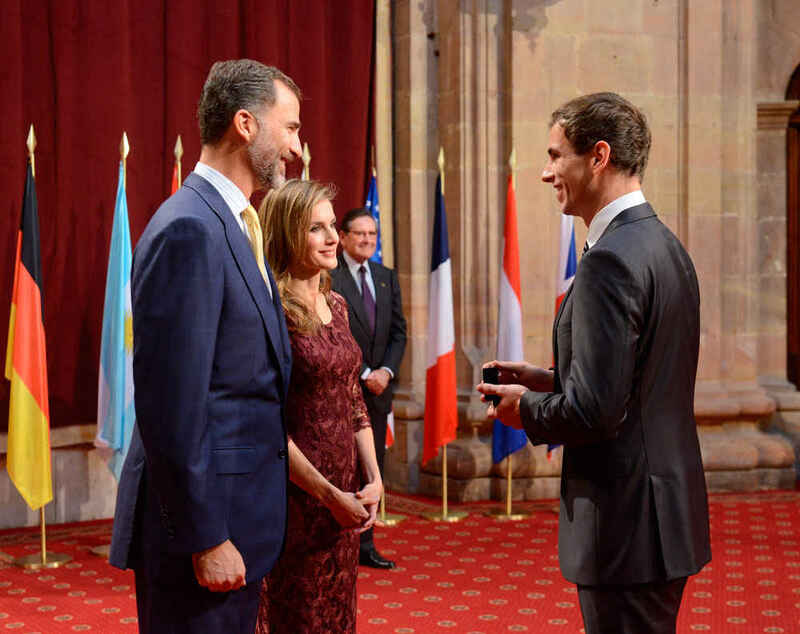 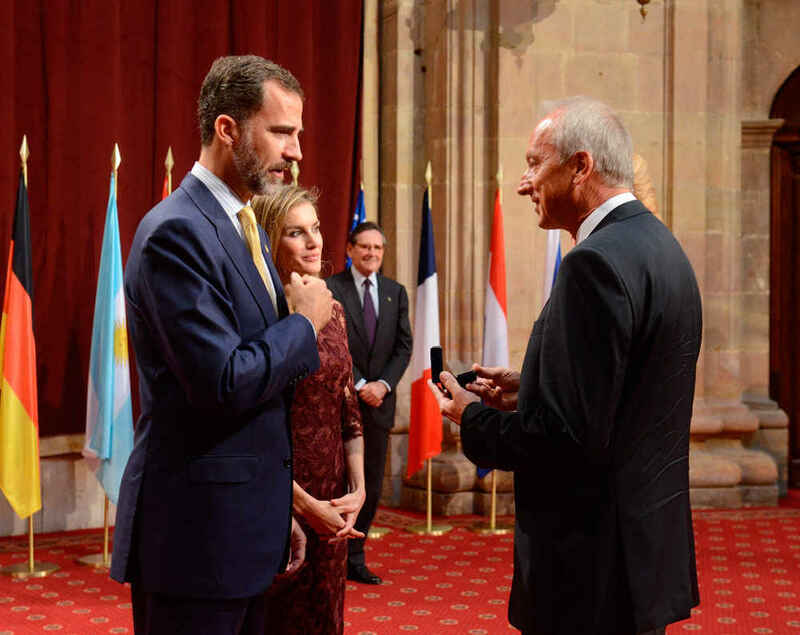 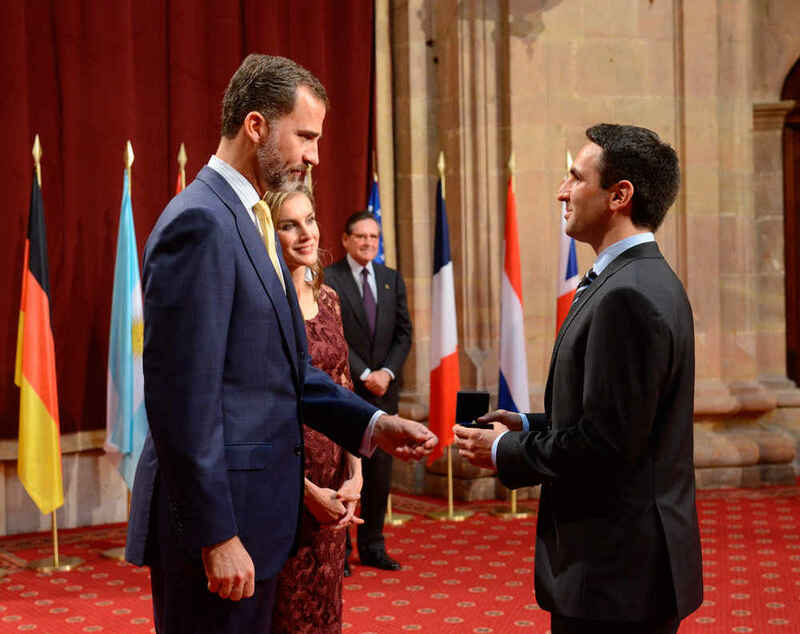 Photos of the Audience held by TRH with the Laureates His Royal Highness, The Prince of Asturias, presenting the insignia to Cristina Lucchese, representative of the ONCE, 2013 Prince of Asturias Award for Concord. 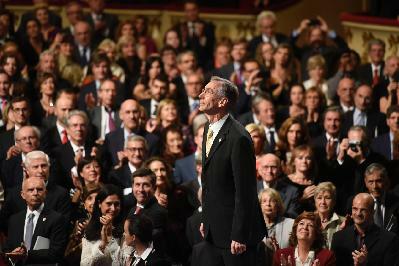 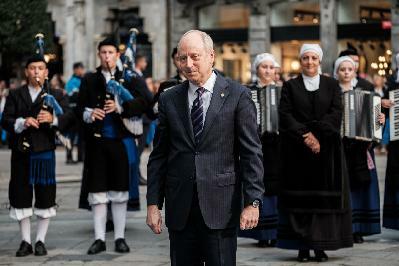 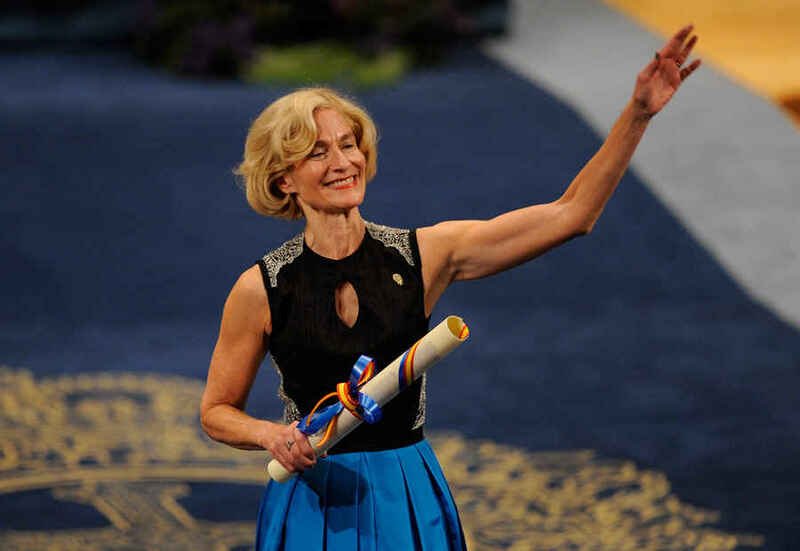 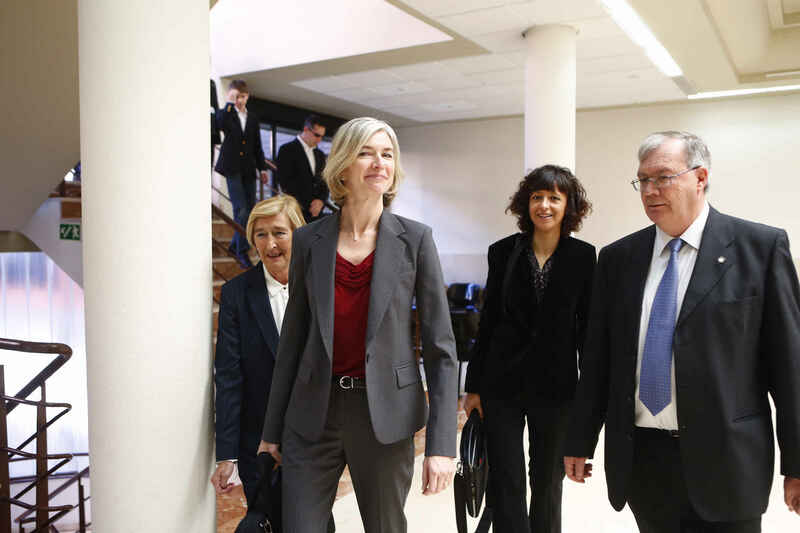 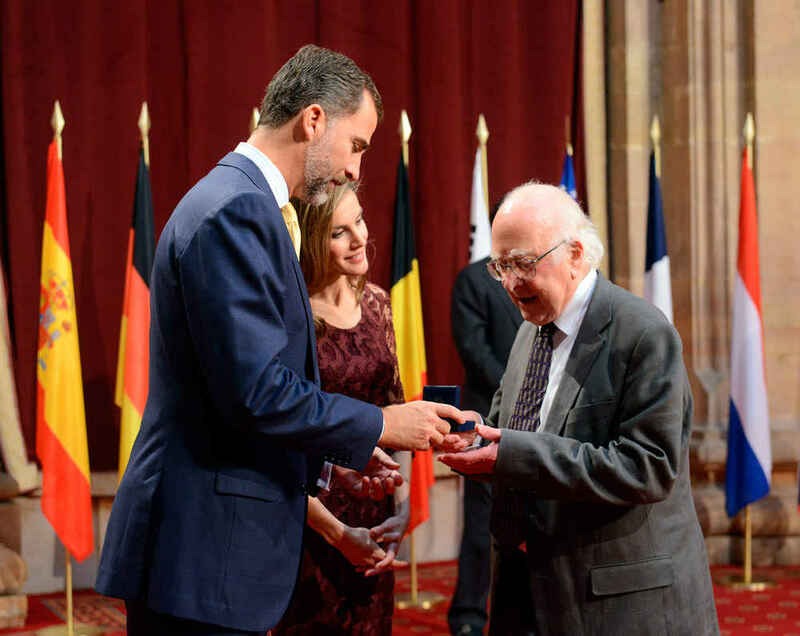 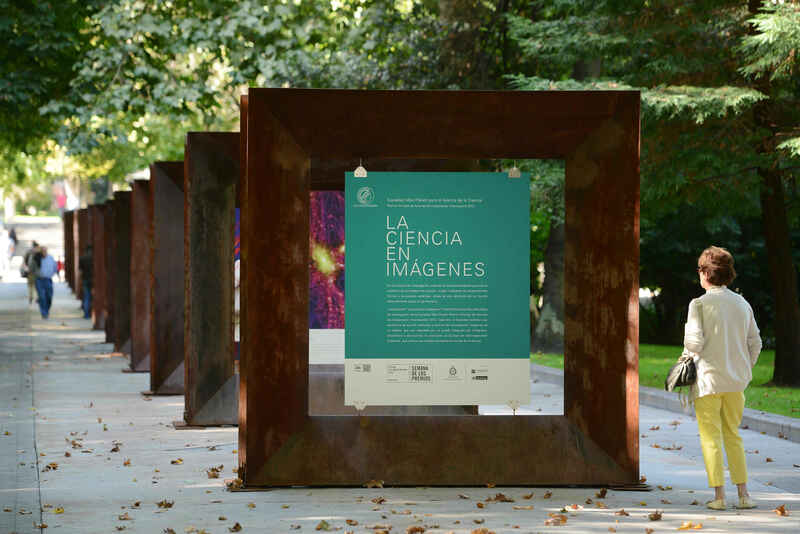 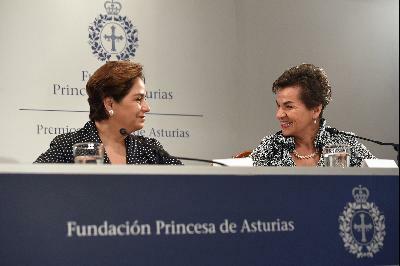 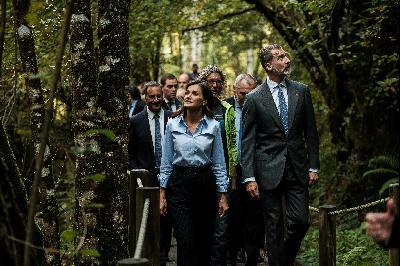 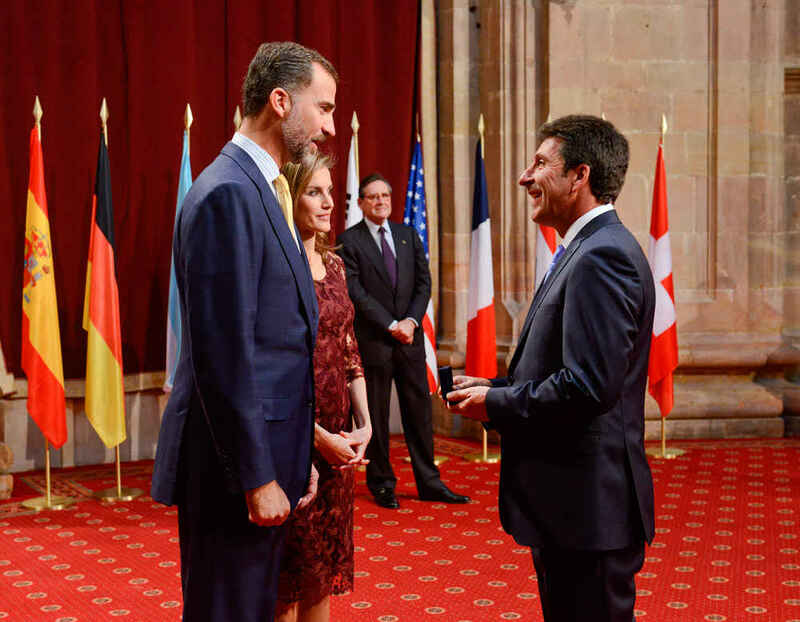 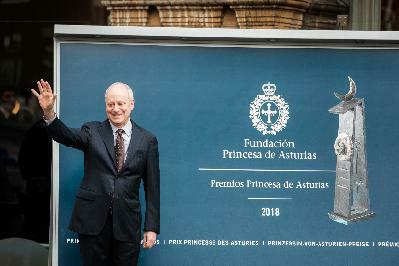 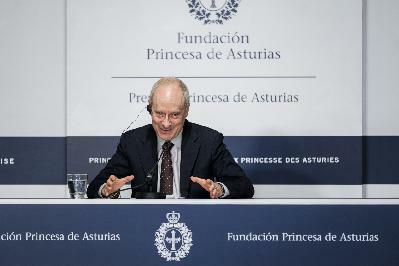 Photos of the Audience held by TRH with the Laureates His Royal Highness, The Prince of Asturias, presenting the insignia to Peter Gruss, President of the Max Planck Society for the Advancement of the Science, 2013 Prince of Asturias Award for International Cooperation. 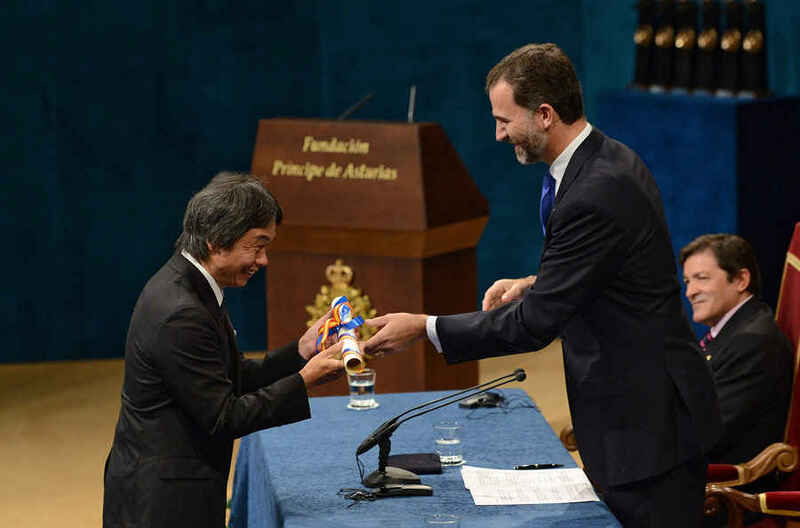 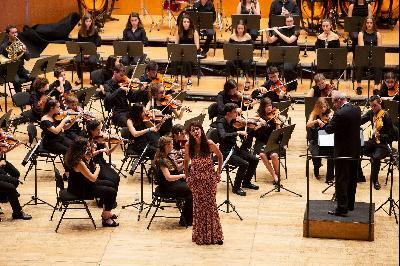 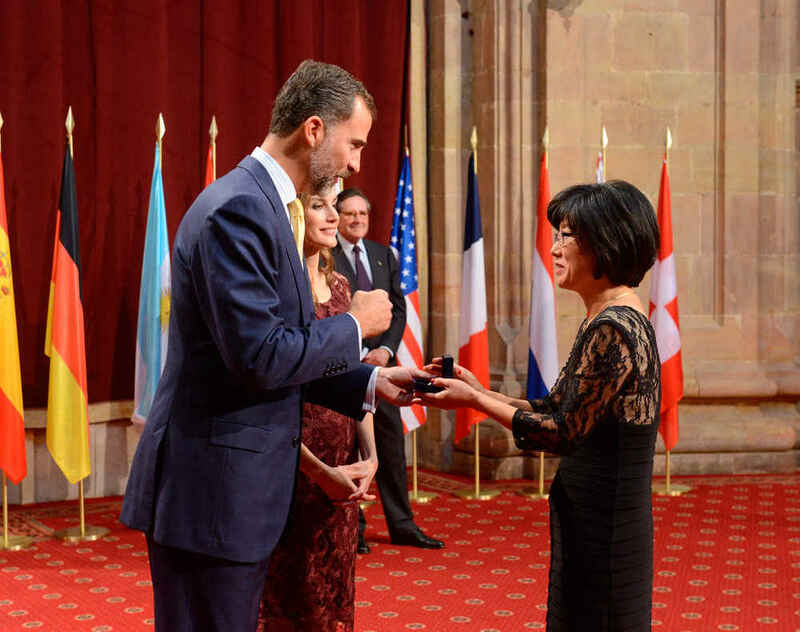 Photos of the Audience held by TRH with the Laureates His Royal Highness, The Prince of Asturias, presenting the insignia to Soojin Ryu, representative of the Max Planck Society for the Advancement of the Science, 2013 Prince of Asturias Award for International Cooperation. 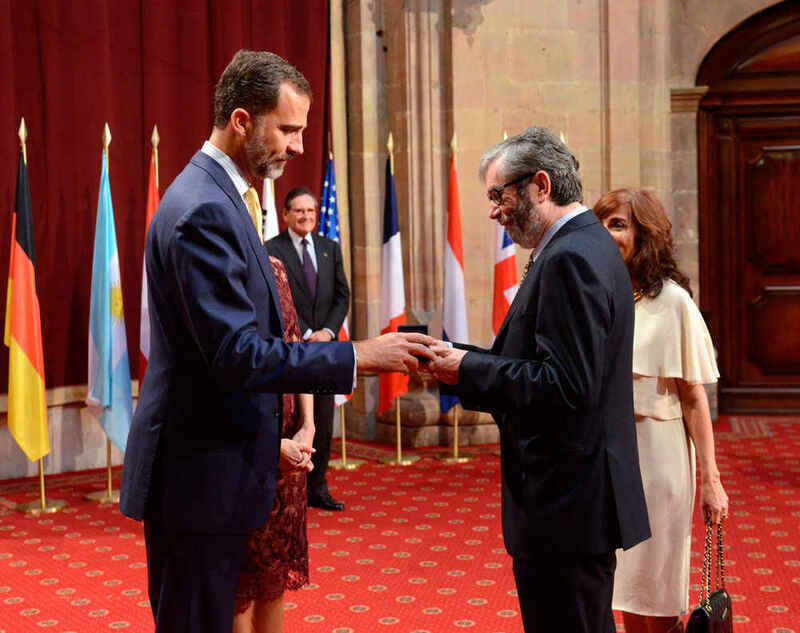 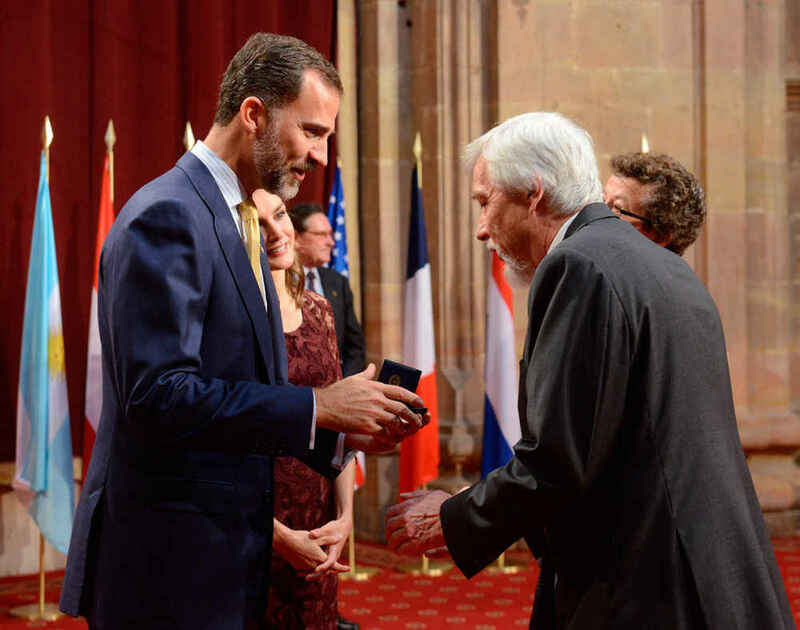 Photos of the Audience held by TRH with the Laureates His Royal Highness, The Prince of Asturias, presenting the insignia to Ali Shahmoradi, representative of the Max Planck Society for the Advancement of the Science, 2013 Prince of Asturias Award for International Cooperation. 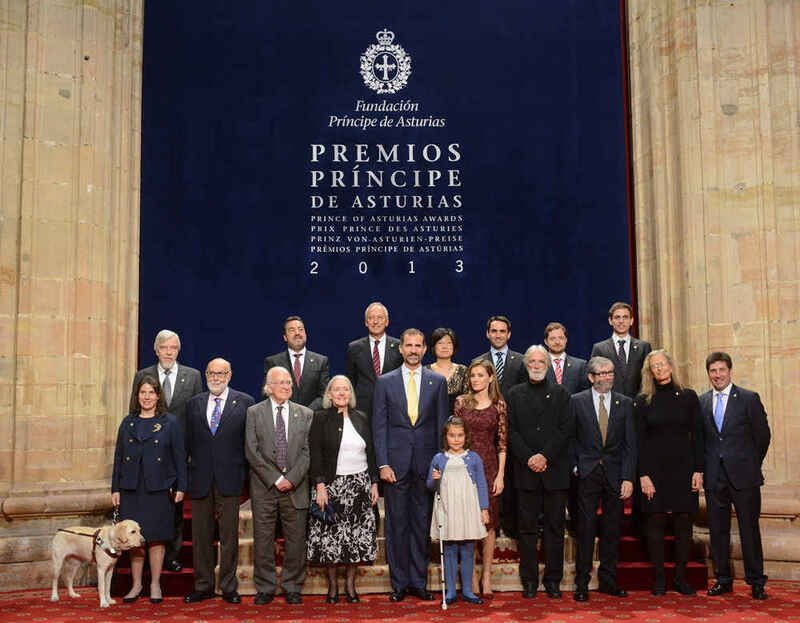 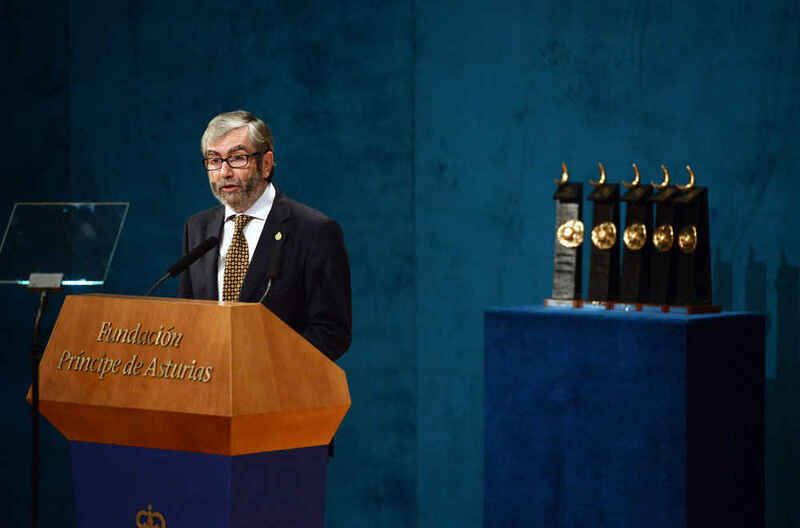 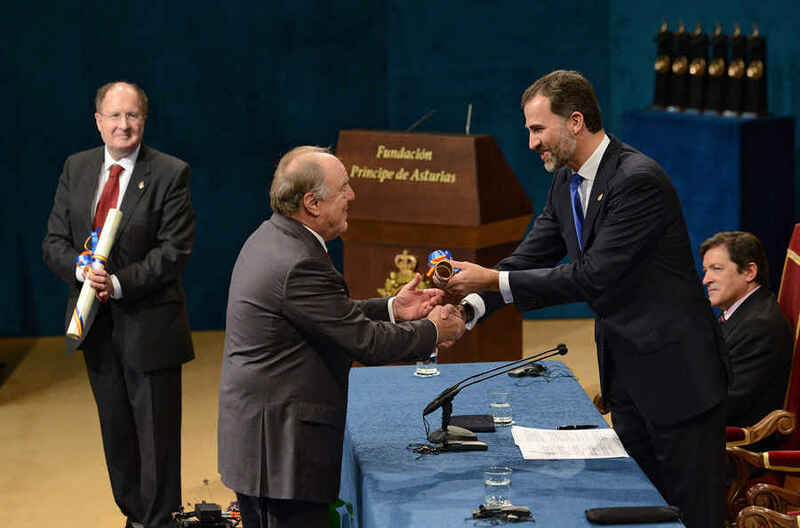 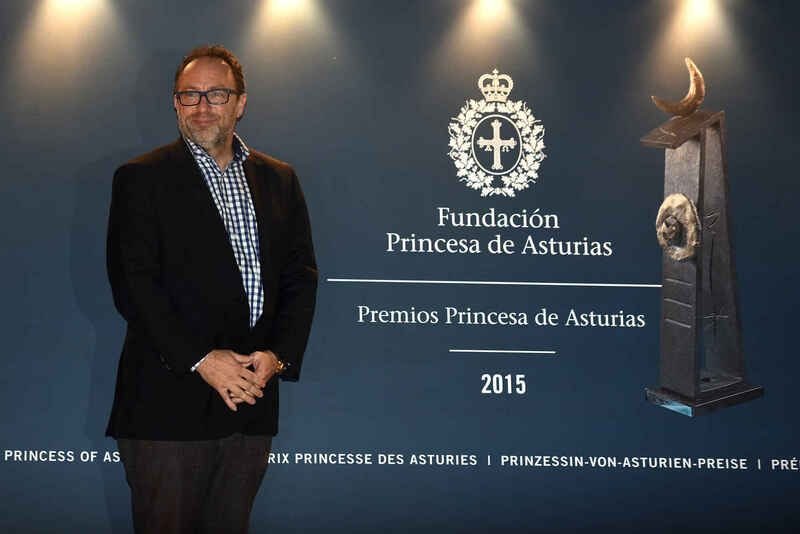 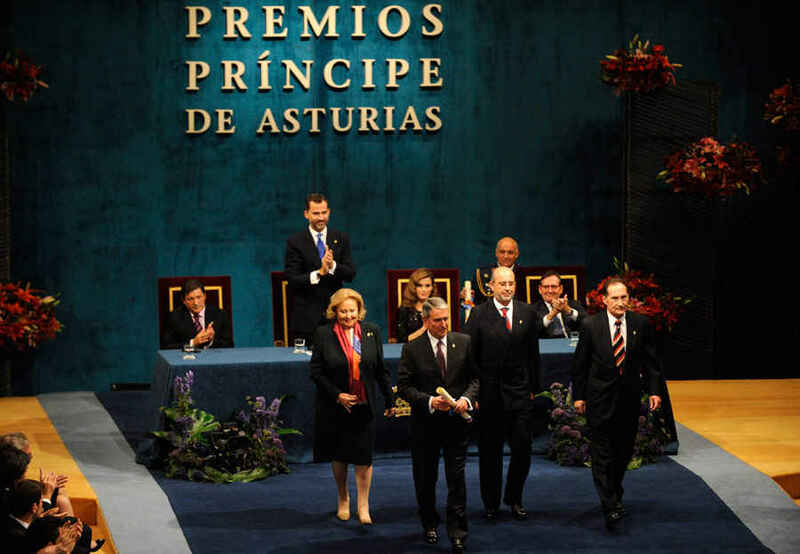 Photos of the Audience held by TRH with the Laureates His Royal Highness, The Prince of Asturias, presenting the insignia to Damián Refojo, representative of the Max Planck Society for the Advancement of the Science, 2013 Prince of Asturias Award for International Cooperation. 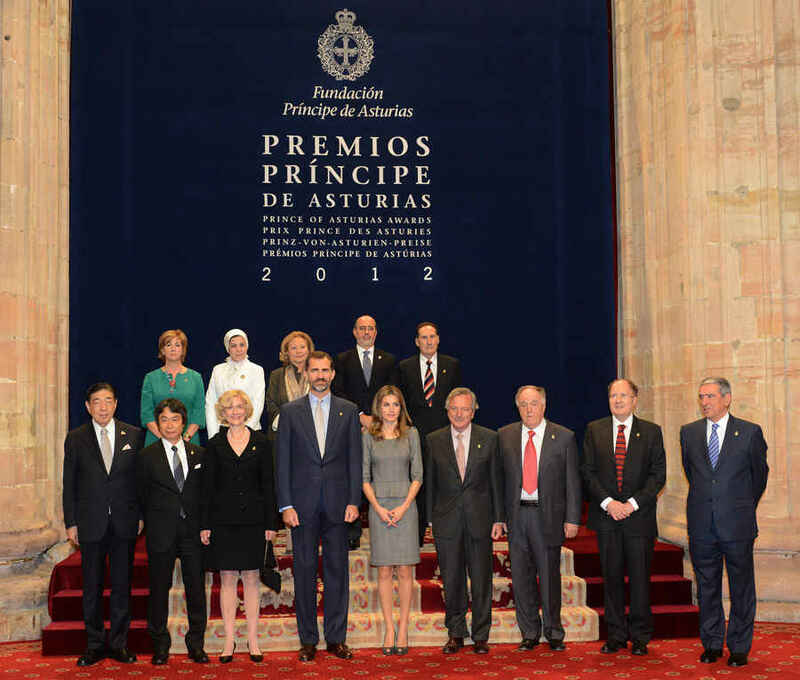 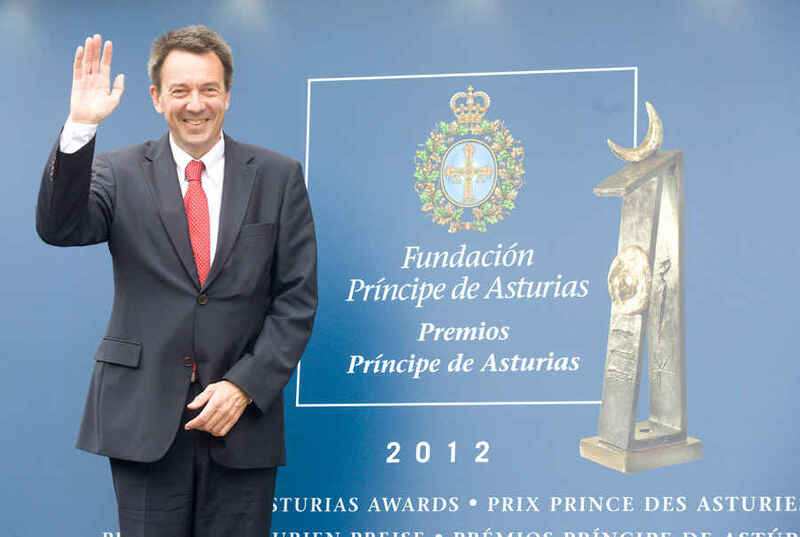 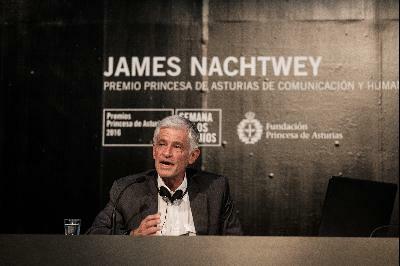 Photos of the Audience held by TRH with the Laureates His Royal Highness, The Prince of Asturias, presenting the insignia to Matthias Weißenbacher, representative of the Max Planck Society for the Advancement of the Science, 2013 Prince of Asturias Award for International Cooperation. 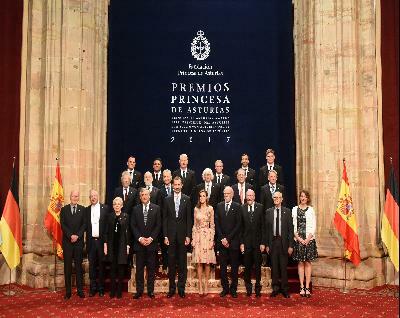 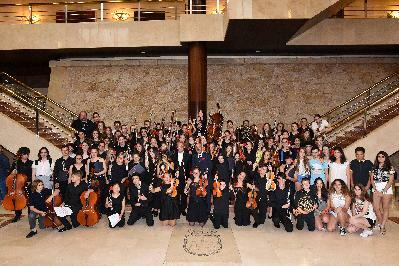 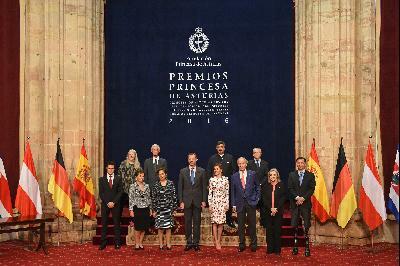 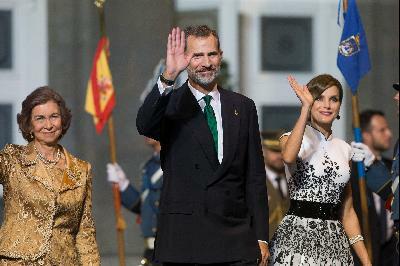 Photos of the Audience held by TRH with the Laureates Official photograph of TRH the Prince and Princess of Asturias with the Laureates. 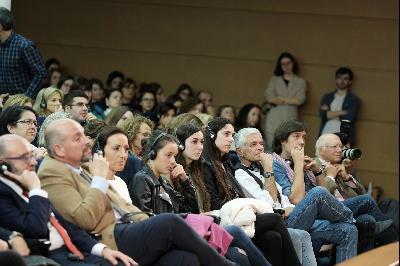 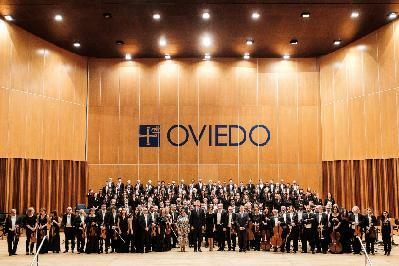 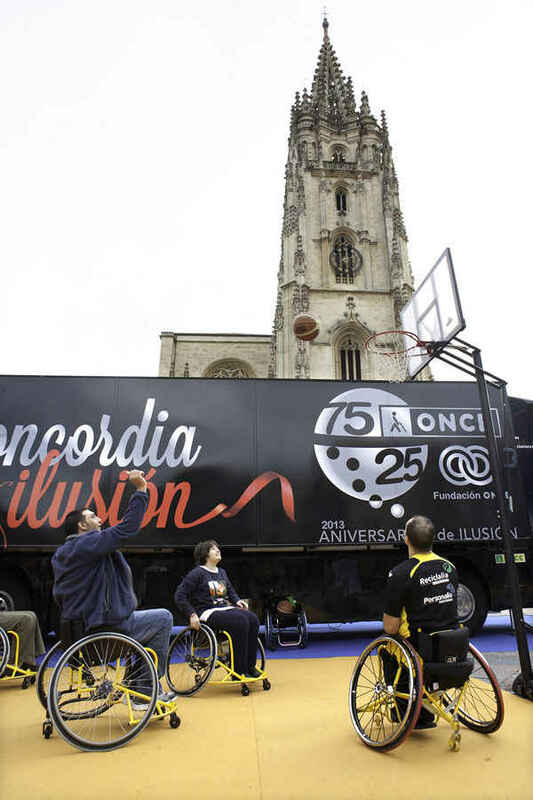 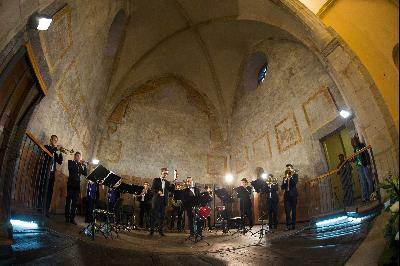 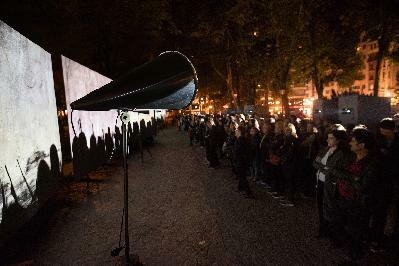 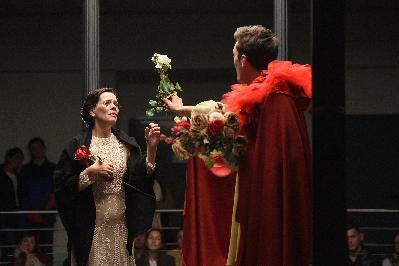 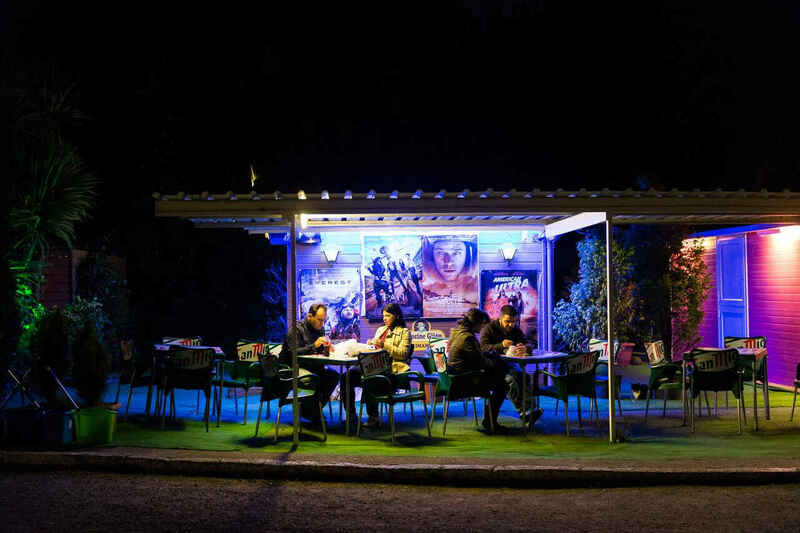 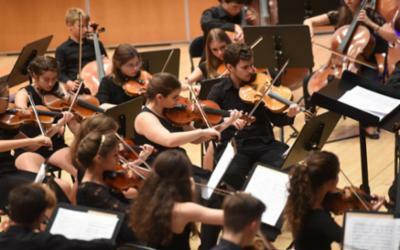 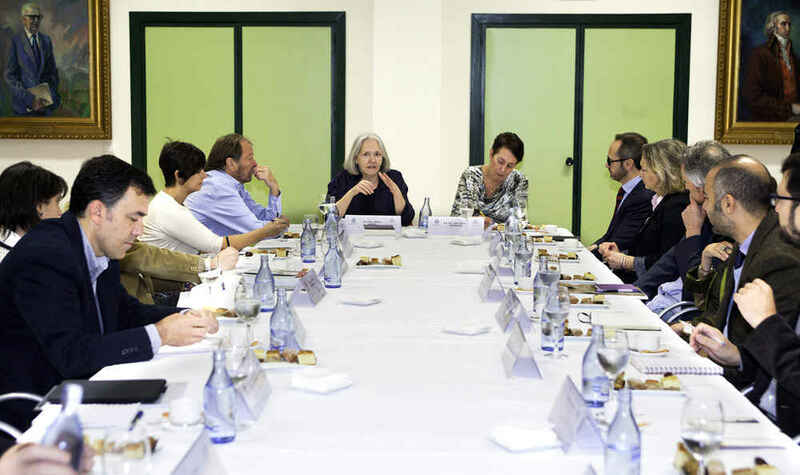 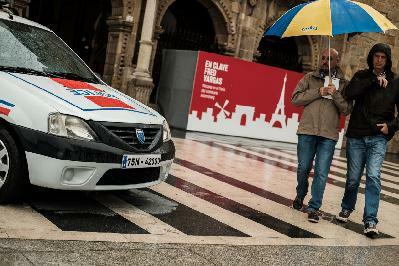 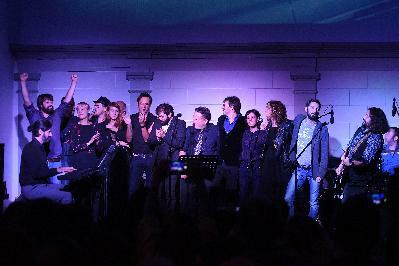 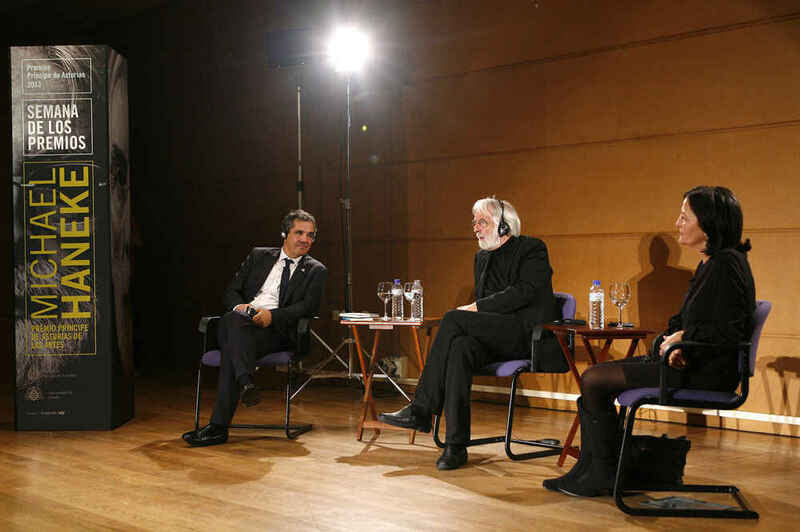 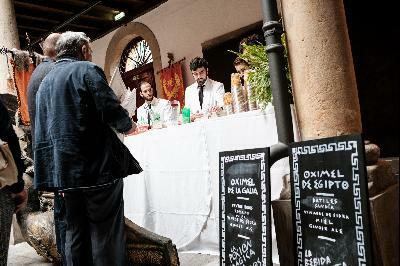 From the left, bottom row, Cristina Lucchese, representing the ONCE; François Englert; Peter Higgs; Saskia Sassen; Liv Parlee Cantin, representing the ONCE; Michael Haneke; Antonio Muñoz Molina; Annie Leibovitz and José María Olazábal. 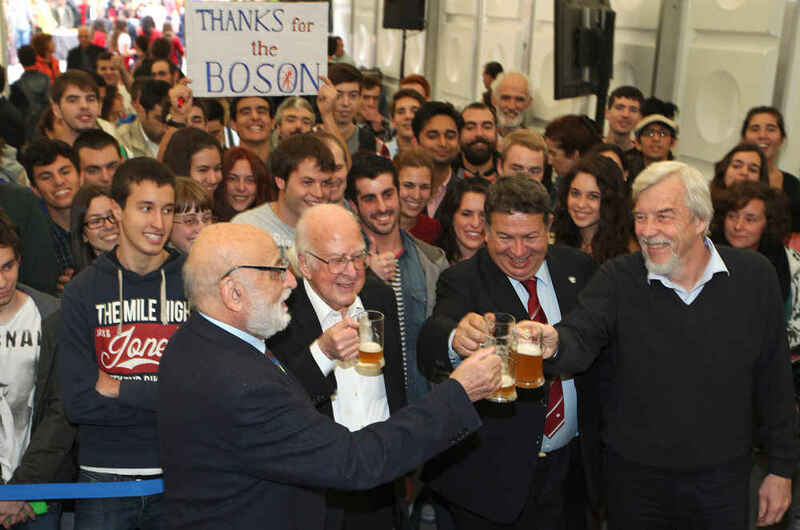 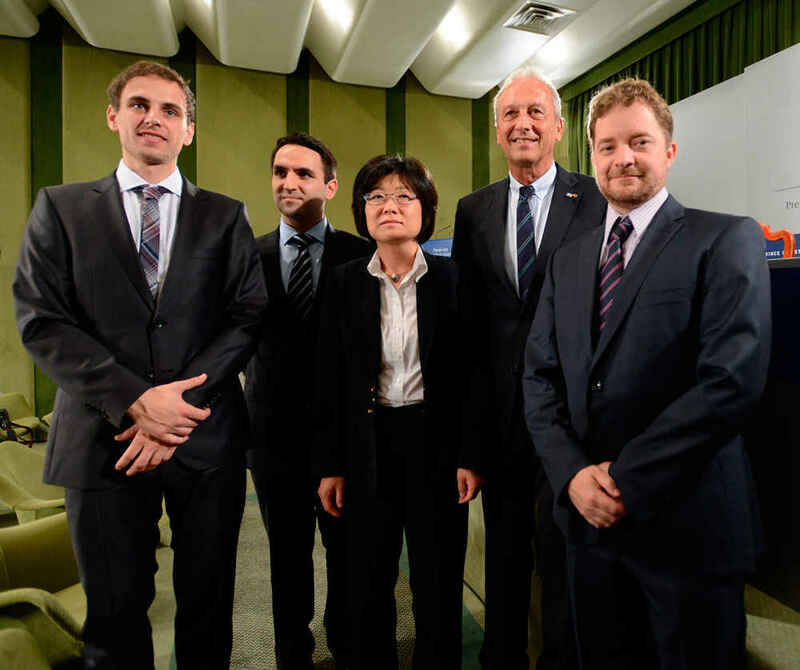 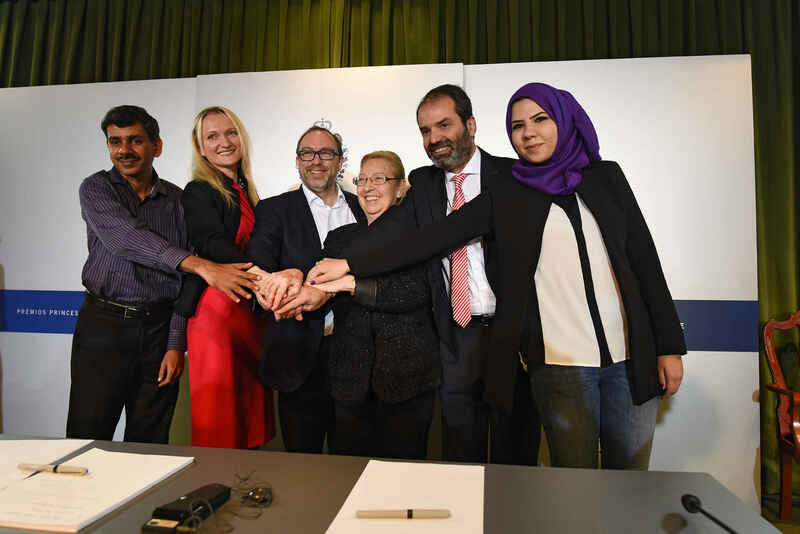 From the left, second row, Rolf Heuer, Director General of CERN; Miguel Carballeda, Presidente of the ONCE; Peter Gruss, Director General of the Max Planck Society for the Advancement of Science; and Soojin Ryu, Ali Shahmoradi, Damián Refojo and Matthias Weiβenbacher, representing the Max Planck Society for the Advancement of Science.